hier seht Ihr ein Portrait von Gary L. Everest, einem Portraitkünstler aus Portland, Oregon, USA. Dies ist nicht nur der erste männliche Blogger in meiner Serie. Er ist auch der erste internationale Blogger vom Kontinent Nordamerika. Dieses Portrait ist sehr ernst geworden, doch Gary ist auch ein sehr freundlicher Portraitkünstler, der seine Modelle sensibel und emphatisch Portraitiert. Seine Portraits erscheinen sehr natürlich und lebendig im Ausdruck. Wenn Ihr einige seiner Portraits sehen und über seine Lebenswelt in Portland, Oregon mehr erfahren wollt, dann besucht ihn auf seinemn Blog. This is a portrait of Gary L. Everest. He is a portrait painter from Portland, Oregon, USA. He is the first male and also the first international blogger from North America in this project. This portrait looks very earnest. 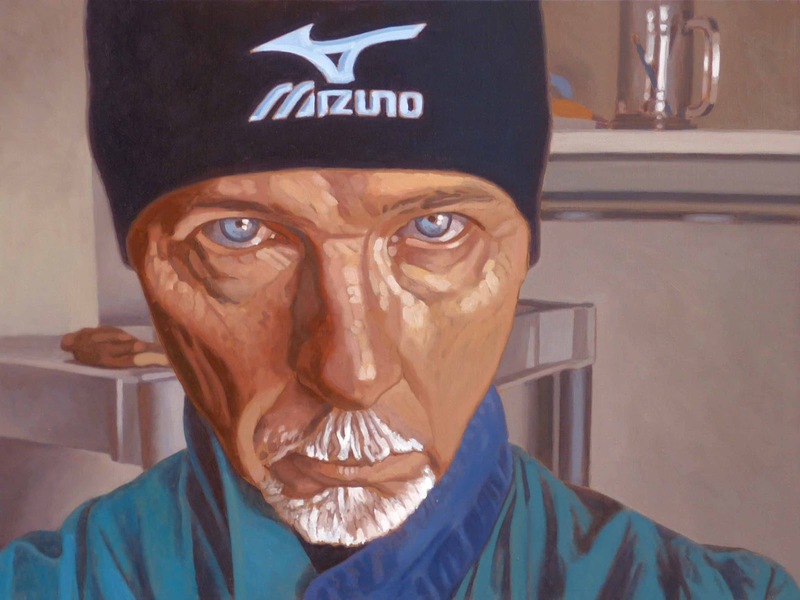 But Gary is a very gentle portrait painter who paints his models in a friendly way. In his pictures the people appear very natural and with a vivid expression. If you want to see some samples from his artworks ore have a look at his world in Portland, Oregon, you can visit his blog. I can only speak for myself, but I think this is one of the finest portraits you have done! I am joking, but only a little. Seriously, I couldn't be more pleased to be a part of this project and am honored to be the first. I wish you continued success with your outstanding work. PS I did this same comment and had Google translate it into German, but for some reason, it wouldn't past it here. Sorry.